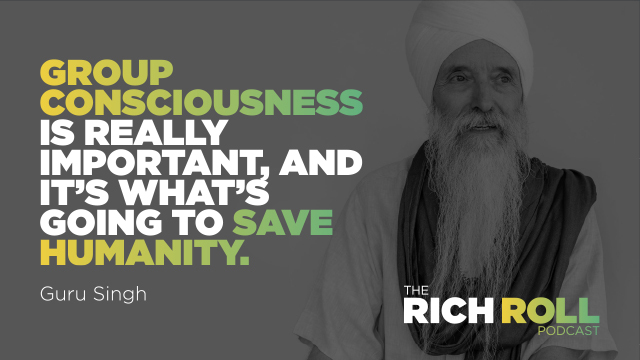 As we approach the year’s end, I thought it appropriate to reconvene with the great and vast consciousness that helped us usher in 2017 – kundalini yoga & meditation master Guru Singh (@gurusinghyogi). Long-time listeners will well recall our initial conversation from January (RRP #267), one of my most popular and impactful episodes in the history of this podcast. For those new to the show, imagine a modern-day rock star Gandalf dropping mad guitar licks between pearls of timeless wisdom that beautifully fuse Eastern mysticism with Western pragmatism and you start to get the picture. Named Best Guru in LA by Los Angeles magazine, Guru Singh is a celebrated third-generation Sikh yogi, master spiritual teacher, author, and musician. For the past 40 years he has been studying and teaching Kundalini Yoga – a 5,000 year old ancient science and school of yoga focused on awakening the primal energy known as shakti for the purpose of spiritual enlightenment. He is the author of several books (enumerated below) and a powerful lecturer uplifting thousands worldwide. An extraordinary teacher, he also serves as a behind-the-scenes guide to many a luminary, including Fortune 500 CEOs, athletes, artists and even Tony Robbins. A peer of rock legends like Janis Joplin, Jimi Hendrix and the Grateful Dead, Guru Singh is also a supremely talented musician who began his recording career on Warner Bros’ Sire label in the 1960s. When he isn’t recording tracks with people like Seal, he’s bringing down the house on the daily at Yoga West, his Los Angeles home base. Over the past year, I have become close with Guru Singh — a beautiful and highly relatable consciousness I’m proud to call a good friend and valuable mentor. Today we discuss everything from the benefits of cold-water therapy to the implications of artificial intelligence. We examine the why behind all the recent mass shootings and explore strategies for navigating the treacherous minefields of our deeply divided culture. We envision new educational modalities for future generations. We investigate the effects of diet beyond the physical level. And we consider the importance of maturing the social infantilism of our emotional infrastructure as a cultural imperative. It’s aways an honor to spend time with Guru Singh and it’s a privilege to share more of his powerful wisdom with you today. My hope is that this conversation will empower you to more mindfully navigate our volatile world and encourage you to more deeply invest in the development of your conscious awareness, personal boundaries, and spiritual growth. To rise up, you gotta lie down. So let’s lie down with Guru Singh. The job is evenly divided between documentation (e.g., podcast & instructional projects) and art (e.g., vlogs, motivational pieces, etc.). In addition, I am not looking for someone to simply do as I ask, but rather an individual who understands and appreciates aesthetics and collaboration, can bring me new ideas, and ultimately elevate my visual presence across multiple channels. I understand this is a big ask. It will take a very specific person to fill this role, so please only submit if you meet all the qualifications. But if you think you have the goods and appreciate the value of the opportunity, I would love to hear from you. MeUndies: The world’s most comfortable underwear! Visit MeUndies.com/ROLL to get free shipping (in the U.S. & Canada) and 20% off your first pair. Sign up to join the Good Morning Prayer! 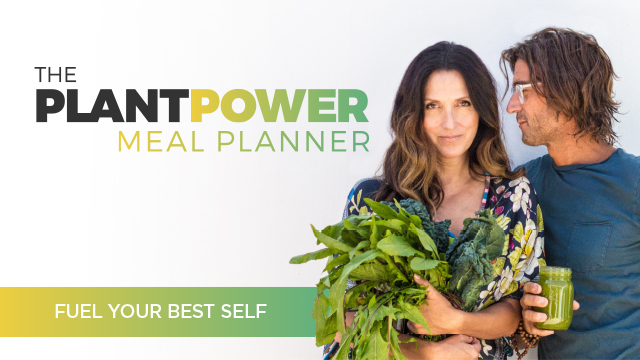 Check Out Our Meal Planner!